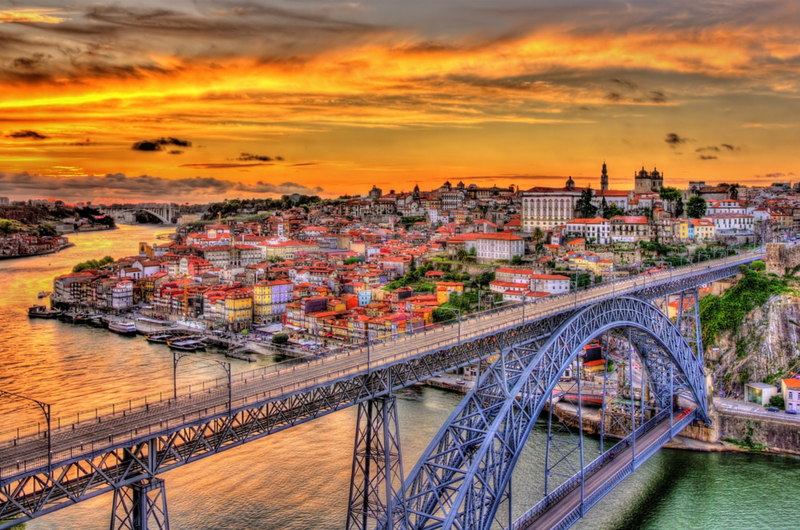 A Saga River Cruises trip on Portugal’s ‘river of gold’. Dave Monk enjoys a week of sightseeing, giddying views and glasses of fine wine during a Saga River Cruises trip on the Douro, Portugal’s ‘river of gold’. You need a head for heights in the Douro Valley. Any excursion from the river – whether it’s to a medieval village clustered on a hill or a church perched at the top of nearly 700 steps – requires a drive up winding roads, past wine terraces, olive groves and cork trees. Portugal’s ‘river of gold’ flows not through a series of great cities like the Rhine and the Danube do, but past dozens of quintas with the names of famous port producers dotted among the vines. It takes only two days to cruise the 135 miles from Porto to Vega de Terrón on the Spanish border, passing through five dams which have tamed this once wild river. It’s hard to believe now, as you relax on a sun deck admiring the view and watching the sunlight playing on the ship’s swimming pool, that not so many years ago barrels of port were carried on small rabelo boats that had to be hauled through the more treacherous stretches by oxen and teams of villagers. But the dams haven’t brought heavy industry with them. The most you see of the modern world are riverside towns, a railway hugging the shoreline and the occasional bridge – one so low that the captain had to dismantle just about everything on deck, including the swimming pool ladder, so the ship could glide under with just inches to spare. Table with a wonderful view over the river in Porto, Portugal. 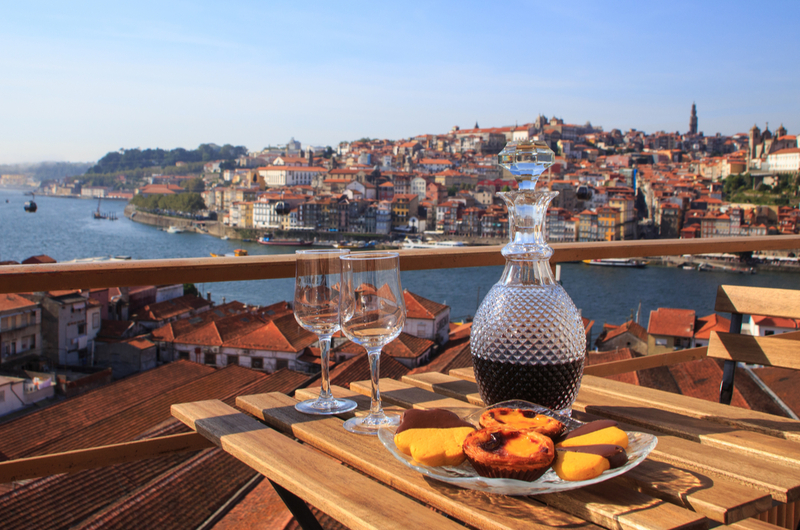 Our week-long cruise with Saga on the Douro Queen began in Porto, the country’s second-biggest city after Lisbon. After a stress-free day, being picked up from home by chauffeur, a short flight and a coach drive to the dock, we strolled along the quayside to find a welcoming bar. Afterwards we popped into a late-night patisserie for some irresistible Portuguese custard tarts before a leisurely return to the ship. For those of us used to ocean cruising, a ‘back on board’ time of 6am is reassuringly unhurried. 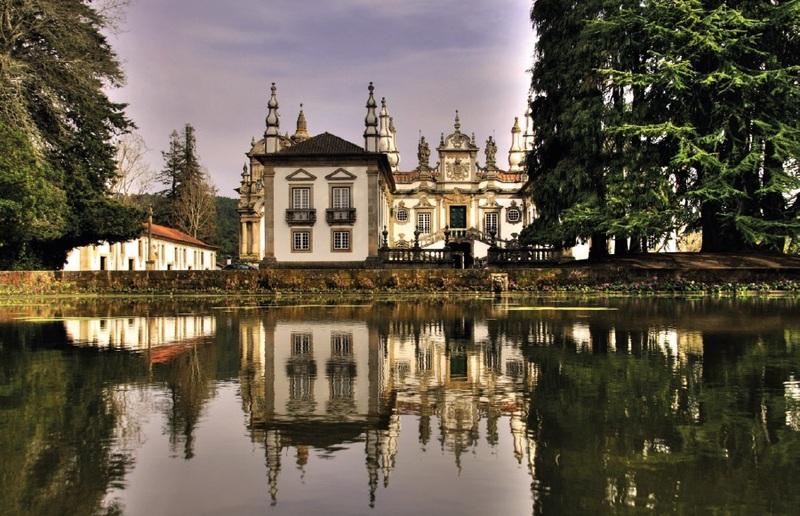 Our first stop the next day was Régua for a coach trip to Lamego, site of the impressive Sanctuary of Our Lady of Remedies. And, yes, we walked the 686 steps down from the church into the town. After a night docked in Pinhão we were taken to Castelo Rodrigo, a settlement clustered around a hilltop fortification. Though small, the town appears to be the sugared almond capital of the world, with eager shopkeepers offering you their wares as you pass. If you pay a euro, a helpful custodian will unlock the heavy gates to the castle, allowing a breathtaking view of the surrounding countryside from the battlements. Sailing on to Vega de Terrón, we visited the Spanish city of Salamanca for a day of shopping, sightseeing – and lunch with a flamenco performance. We left the following morning from the Portuguese hamlet of Barca d’Alva on the other side of the river and returned to Pinhão to see the Quinta do Seixo, home of Sandeman port, where the female tour guides dress in the brand’s distinctive black hat and cape. Then, for many, the unexpected highlight of the trip – a dinner at the Quinta da Avessada in Favaios. A rousing musical welcome in the evening sunshine and a hearty traditional Portuguese meal with plenty of wine would have been enjoyable enough. But the star of this show was the quinta’s owner, Luis Barros, who delights in his similarity to Rowan Atkinson’s Mr Bean. Along with his slightly eerie collection of mechanical mannequins which demonstrate how wine is trod and produced, the rubber-faced, energetic Mr Barros presented a surreal evening’s entertainment which culminated in most of our fellow Saganauts dancing a conga round the room and laughing into the night as they left. Back in Régua the next day we visited the Mateus Palace, instantly recognisable from the labels of the distinctive rosé wine bottles, and its beautiful gardens with a cedar tunnel. Our sixth day of sailing brought us back to Gaia, on the opposite bank to Porto. Here I took a cable car to the top of the Luis I bridge for a view of the city, the old port warehouses and the river which had brought us so much enjoyment in less than a week. As I dodged the speedy metro trains crossing the bridge and stared down at the tiny figures below me, I was glad I had a head for heights. 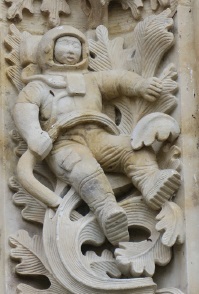 The carvings on the exterior of the 16th century Salamanca cathedral in Spain include an astronaut – added during restoration work in 1992. There’s also a gargoyle eating an ice cream.